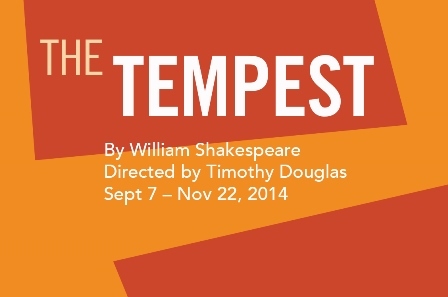 Shakespeare’s final major work, The Tempest occupies an in-between world that straddles the fine line between the ethereal (magic, fairies, and hybrid humans) and the real (love, freedom, and the power of nature). It tells the tragicomic tale of Prospero, The Duke of Milan, and his daughter, Miranda, who are marooned on an island due to the machinations of Prospero’s brother, Antonio. When Antonio’s ship is run aground by a massive storm, he and his comrades must navigate an isle rife with spirits and temptation. It is a morality tale about the rulers and the ruled, and how those roles can shift over time. Written in 1610-11, The Tempest is said to be Shakespeare’s farewell to the theatre – driven home by Prospero’s famous final speech, in which he drowns his book of magic in the sea. The revolution here is at once political and personal; and the theme of the ruling classes vs. the ruled makes the play utterly topical. In addition to Deborah Strang as Prospero, the cast will include Alison Elliott as Miranda, Kimberleigh Aarn as Ariel, and Esteban Andres Cruz as Caliban. Timothy Douglas is currently an associate artist at Cincinnati Playhouse in the Park and served as associate artistic director at Actors Theatre of Louisville for three seasons where he directed numerous productions including three Humana premieres, and as a Director in Residence (Mellon Foundation Fellow) at Center Theatre Group. Timothy has directed over 100 projects for ACT, Guthrie, Berkeley Rep, South Coast Rep, Steppenwolf, Playmakers Rep, Woolly Mammoth, Berkshire Theatre Festival, Downstage (NZ), National Theatre (Norway), Milwaukee Rep (artistic associate), and many others. He is also a Linklater voice instructor and served on the faculties of ACT, USC and Emerson College. He has a MFA in acting from Yale.